There is something very amiss in the finances of Michaelhouse. Despite a new influx of well-heeled students, there is an acute lack of funds for the upkeep of the buildings, even for decent provisions. It is only when the Brother in charge of the account books dies unexpectedly that some sort of explanation is revealed: he has been paying large amounts of money for goods the college itself has never received. Although shocked by this evidence of fraud, Matthew is more concerned with the disappearance from his herbarium of a quantity of pennyroyal, a preparation known to cause a woman to miscarry, and a pregant visitor to his sister's household has died from an overdose of pennyroyal. Had she meant to abort her child or had someone else wanted to ensure she was unable to provide an heir to her husband's wealthy estates? 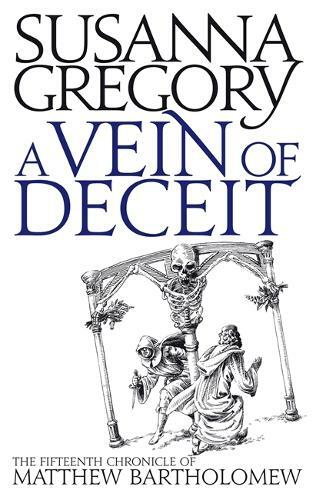 When Matthew learns that it was her husband who had received Michaelhouse's money for undelivered goods he begins to search for other connections and exposes a very treacherous vein of deceit. "A perfect choice for historical fans who miss Ellis Peters." "Library Journal""
"Bartholomew remains a credible and sympathetic amateur sleuth." "Publishers Weekly""